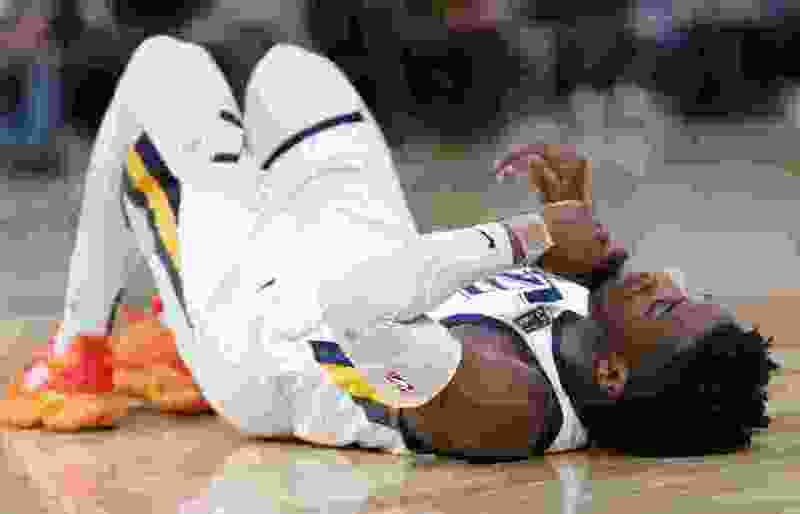 After spraining his left ankle Saturday night, unable to put any weight on it as he left the court, Donovan Mitchell missed less than three minutes of game action before returning to try to save the Utah Jazz. It turns out his second absence may last longer. Mitchell is missing the Jazz’s game Monday against the Toronto Raptors due to the ankle sprain, his second missed game in three contests. Mitchell also missed last Friday’s game against the Memphis Grizzlies due to right hamstring tightness. With that injury, an MRI came up negative for any tears. There’s no word on how long Mitchell figures to be out, though his return against Denver is a good sign for the long-term prognosis. Mitchell joins Raul Neto as definitely out for the game against the Raptors, but they do have good news: Alec Burks’ status has changed from out to available after missing the last four games due to a left hand chip fracture. With Mitchell out Friday, rookie Grayson Allen moved into the starting lineup, scoring nine points in 27 minutes. Allen, though, ended up with a game-low -18 in a contest the Jazz lost by 10. A healthy Burks figures to get some of Allen’s minutes Monday night. Derrick Favors (left knee soreness) and Jae Crowder (right ankle sprain) are now listed as available for Monday’s game. For Toronto, Kawhi Leonard figures to return after missing Sunday night’s game against the Los Angeles Lakers. Even with Leonard’s return, though, it could be a difficult game for the Raptors due to schedule factors.